Here is my first finish for 2016! A quilt made just for us and made to be in our family room. I picked out fabrics that complemented our furniture, the stone in the fireplace and our rug and completed this easy quilt in 5 days! There was no patchwork or piecing, just sewing strips and subcutting. I had an idea in my head for bars that were floating on a solid background and just sketched it out. Thanks to my awesome neighbor, Janet, for being the quilt holder in 10 degree weather! The quilt top is pieced entirely using Robert Kaufman Kona Solids. The totally awesome backing fabric is from Alison Glass and I’m so over the moon about it. It’s called “Grove in Charcoal” and it’s from her Handcrafted 2 collection. It makes such a statement on the back of the quilt. The whole time I was making this quilt, I couldn’t get Alison Glass’s name out of my head. 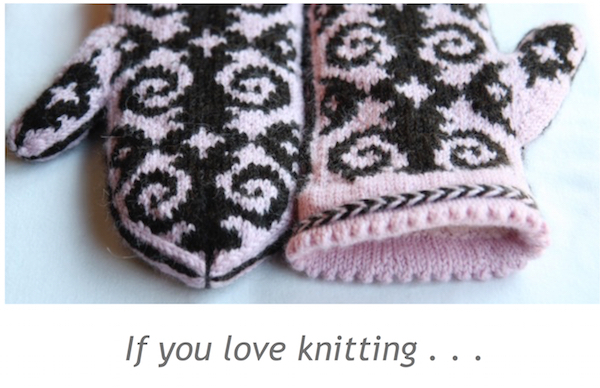 Every time I caught a glimpse of the backing, I would marvel, “that Alison Glass fabric ! “ So when it came time to name the quilt (which I originally planned to be “Floating Bricks”), the word “glass” kept creeping in. So I gave in. “Bricks and Glass” it is. I cut 2.5″ WOF strips and sewed them together, alternately the sewing direction, so the strips would not get that nasty curve to them if you don’t. I alternated background color strips and accent color strips. I then subcut those sets into 8.5″ sets and just sewed everything together. I cut 2.5″ sashing strips from the background fabric sewed those in between the columns. The finished size is 51″ x 60″, a nice size for two people cuddling on the sofa. I used my new favorite batting fabric again, the Hobbs 80/20. 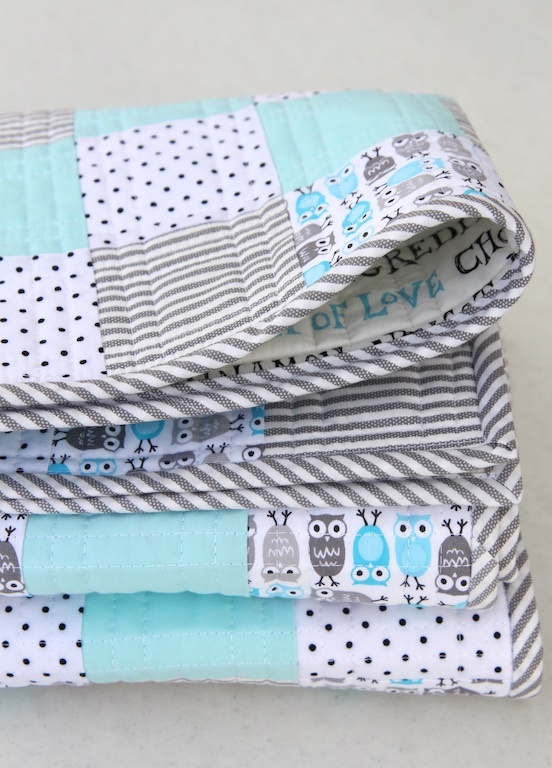 I really do like this better than the Warm and Natural I’ve always used – it has a softer drape to it, maintains a bit of loft and makes a nice quilt. Yet it machine quilted like a dream, with no puckering or anything. I quilted just straight vertical lines, at a 3.5 stitch length. I used a green/grey Aurifil thread for the top and black in my bobbin, to match the backing fabric. I debated a lot whether to add horizontal quilting after I got all the vertical lines done. What do you think? Should I have added horizontal lines to make a grid? I was thinking I liked just that modern kind of look with just the vertical lines, but I don’t know. 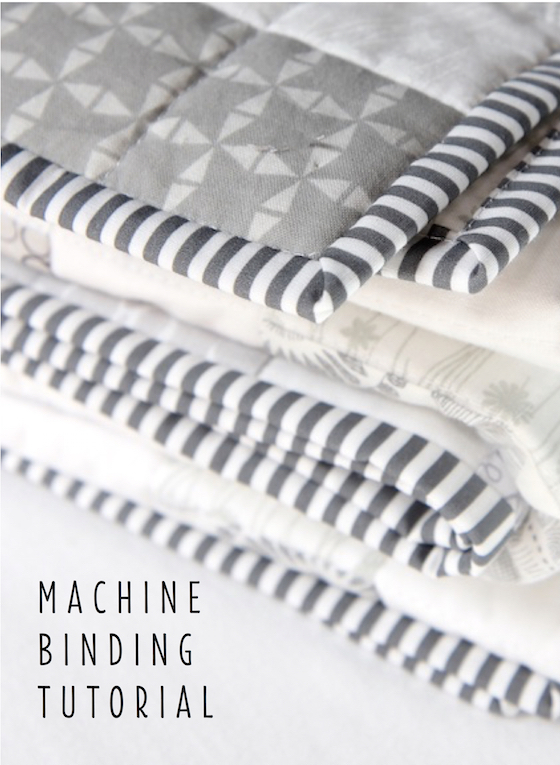 The binding was a just a fun fabric I found at Jo-Anns. I’m always on the lookout for good binding fabrics when I shop and if something catches my eye, I buy a half yard of it and put it in my Binding Stash drawer. A half yard of fabric is the amount needed for binding for the size of quilt I usually make. When I put this fabric up next to the Grove backing, it was a good fit. 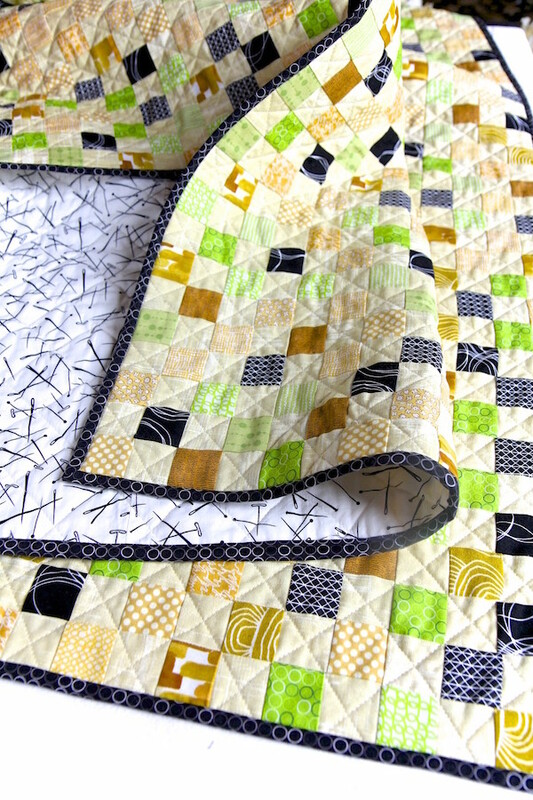 This entry was posted in finished quilts on January 11, 2016 by Beech Tree Lane Handmade. Love this quilt. Beautiful simplicity. I like your choice for the quilting pattern. The vertical lines look modern and clean. Very nice! Thanks for posting. Love it and the backing fabric is a perfect fit! It looks fabulous in it’s new home! 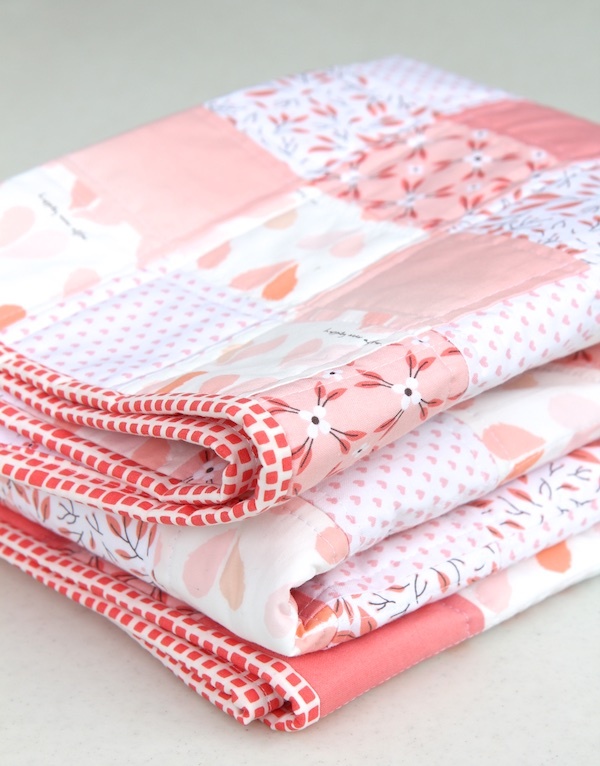 And it ticks all the boxes for me – delicious Konas, subtle lay-out, simple and effective quilting. A wonderful first finish of 2016! Love the outdoor photo. The quilt has warmth but restfullness as well. 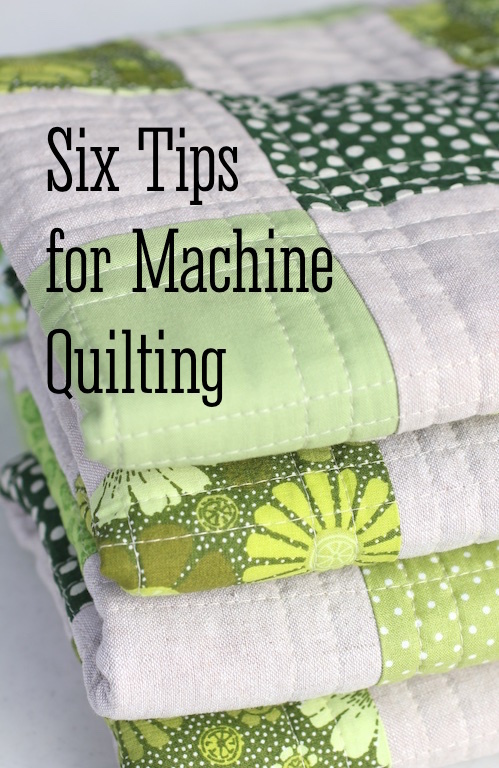 The vertical quilting seems just enough, simple. Jumped here from Linky Tuesday. Awesome first finish! I love that Allison’s name kept tickling you! Her fabric is awesome, isn’t it? Great name for the quilt. Perfect quilt. I love the simplicity, but it is soooo beautiful. Congrats with this amazing finish. Thank you, all! I’ve been snuggling up with the quilt a lot – it’s been mighty cold here in Michigan! I really like this quilt. Wonderful colors and a great minimalist design. No need for vertical lines. Beautiful quilt as it is. Really nicely fits to your room. Beautiful! 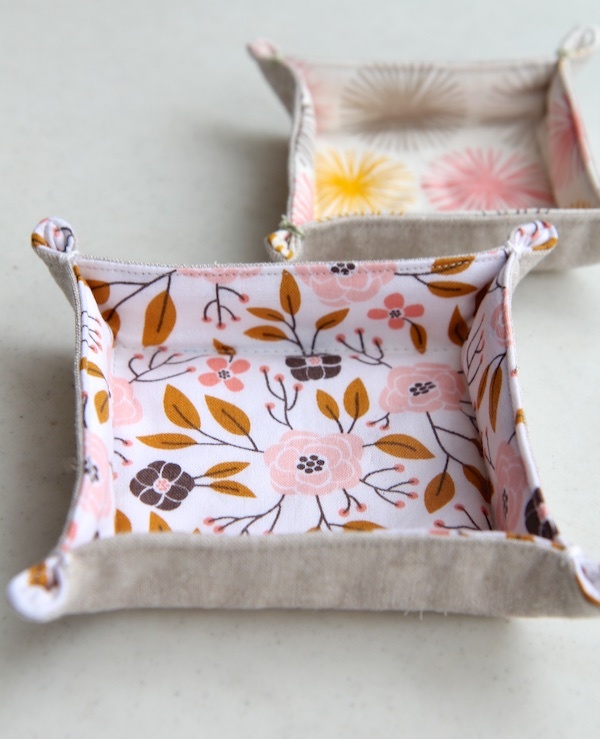 And so perfect for your room! It looks perfect in your room! I’m impressed that you finished such a large project so quickly. Good for you! 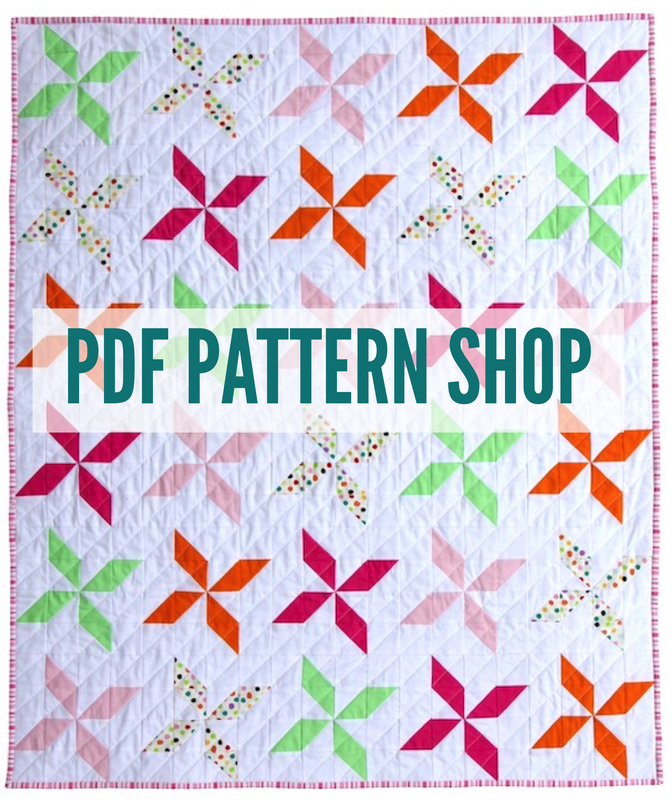 What a perfect quilt…colors, quilting, pattern, backing…looks amazing! I LOVE this quilt! Now I want to make one! How do you figure how much yardage of each color and the background? How far apart are the quilting lines? The quilting lines are one inch apart! This quilt defines myself all wrapped up in the colors, simplicity, and precision. 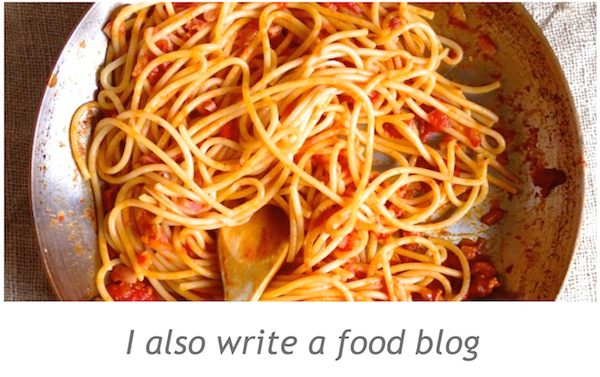 I must make this for myself! With 304 Kona colors, would you mind telling what colors you used? Laura: I looked at my notes and I did not write down all the colors I used. I can tell you I used Kona Mushroom for the background and my notes said I used Kona Charcoal, Black and Spice. The other colors are unidentified. Sorry, but I hope this helps! Thank you for the response. I thought that might be spice and charcoal! I was thinking the background might be Stone. 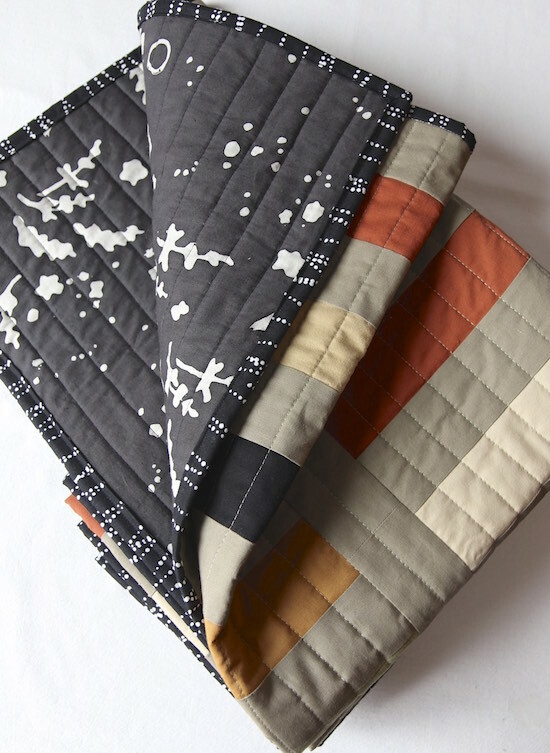 On another note…I believe I will be making 2 quilts! 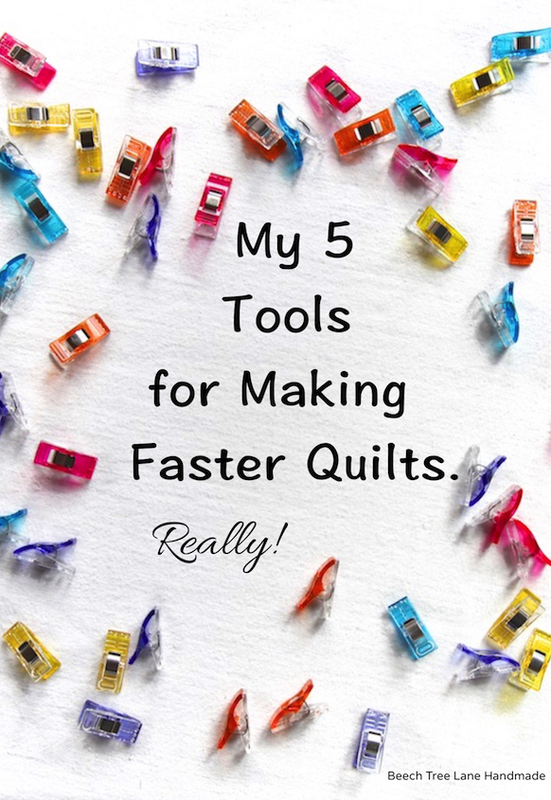 Your Essex Yarn-dyed quilt is to die for!